Liquid plastic casting resins tend to be expensive and have set properties that limit your flexibility. Mikey77 has come up with his own material out of materials so common, chances are you already have them. Best of all, you choose the color, viscosity, and set time yourself based on your needs. 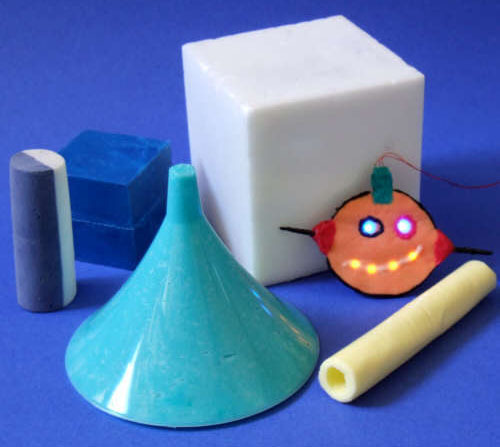 He calls the stuff Oogoo, a name reminiscent of Sugru, an off the shelf product with very similar properties. In a nutshell, his recipe is very simple, just mix corn starch with silicone caulk. The problem with silicone is that it takes a long time to dry from the outside in, the corn starch allows it to dry from the inside out, and very quickly. 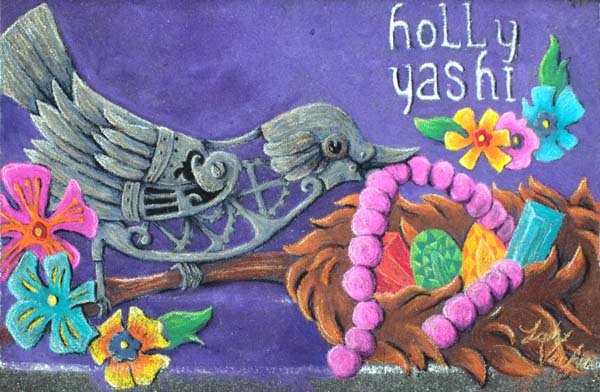 The ingredients are pretty safe and stable, so you can mix in your own dyes and other ingredients. Check out his full instructable here. We live in a world full of uniform, mass produced, cheap little wonders. 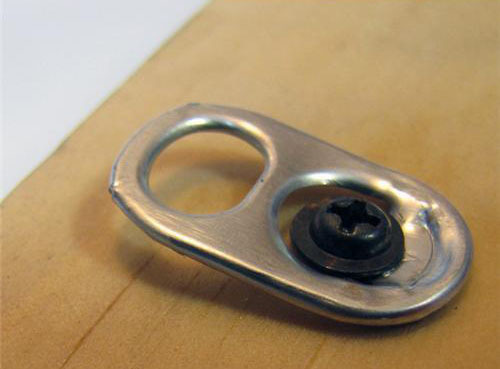 Case in point, the humble pull tab. 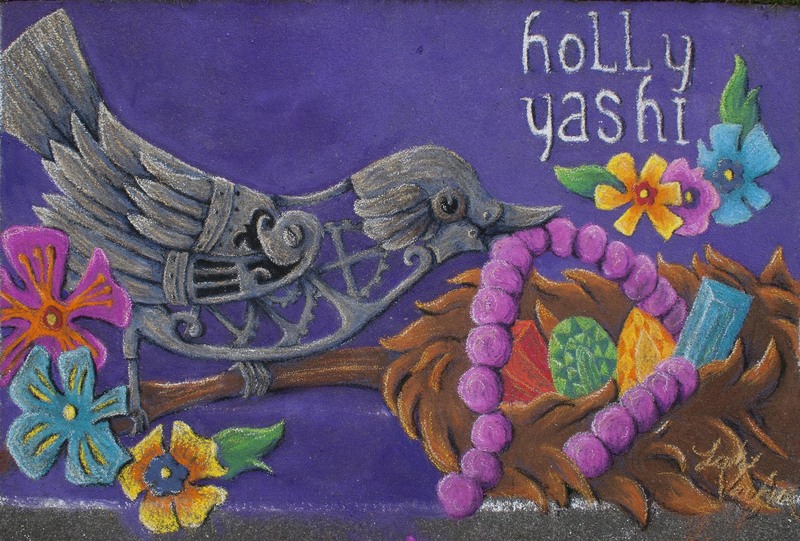 Tossed out as refuge in the millions every day, but what better way to attach something on the wall? 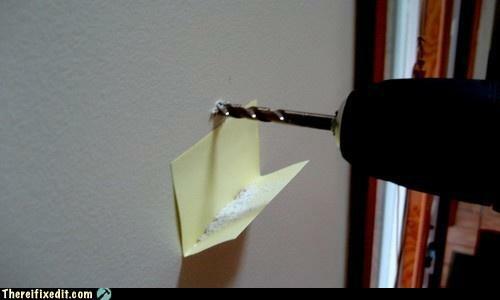 Just screw a pull tab to it and hang it over a screw/nail in the wall. Yet another brilliant redneck repair brought to you by the folks at thereifixedit. 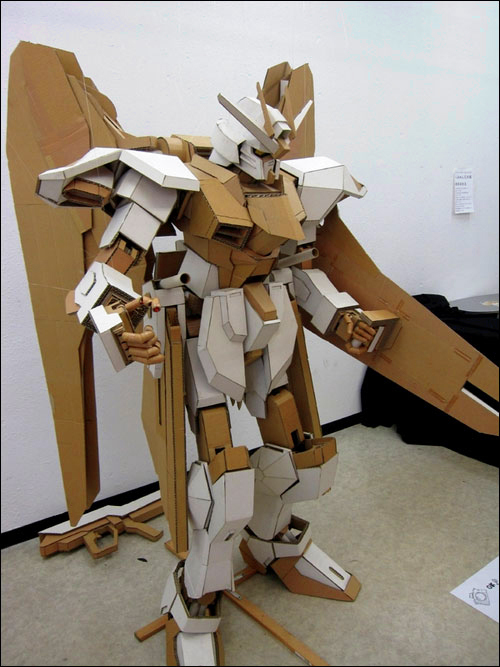 I think all of us need a reminder sometimes that we don’t need expensive materials to make something awesome, as illustrated by this poseable cardboard Gundam. If you want to avoid shakycam footage, there are a ton of ways to stabilize your camera, ranging from DIY projects, to a huge variety of devices (see here) ranging from simple and affordable, all the way to professional units where if you have to ask the price, you can’t afford them. All these options weren’t enough for this guy though, he’s taken the DIY approach to a new level, giving his rooster a helmet cam. 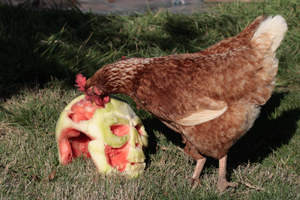 If you’ve ever picked up a chicken, you know that when you move their body, their head stays in the same place (vestibular ocular reflex). 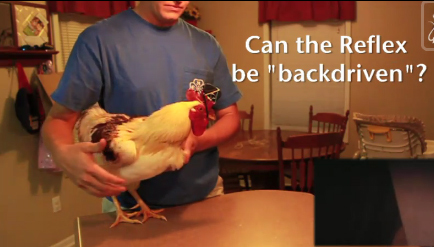 Why buy a fancy steadycam, when you can just carry a chicken? Video below. It seems to me he has the camera pointed the wrong way. Chickens don’t look straight ahead, they look to the side. 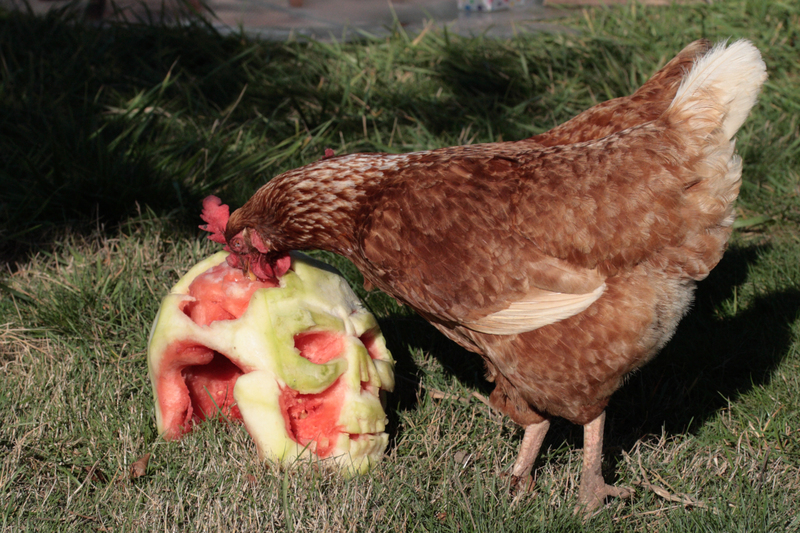 The real challenge here is to keep the chicken interested in looking at what you are filming, which could be a good way to make movies for people with short attention spans. 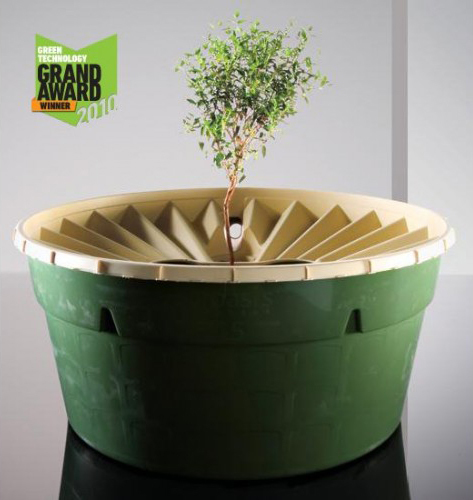 The Groasis Waterboxx was the grand award winner in Popular Science’s 2010 top 100 innovations list. The base has a water reservoir which you fill once or very rarely. Any rainfall or morning dew runs down the top of the lid to water the plant, and the condensation from the reservoir collects on the underside of the lid and serves to water the plant in dry times. At $275 for 10, it seems a bit pricey for it’s intended use in poor, arid nations, especially considering you could likely make a passable version of these out of old tires and trash can lids, but I see no reason it has to be an eyesore. I can see a nicer version of this having use in parking lot plantings in semi-arid cities like Los Angeles, or for newly planted trees along highways. 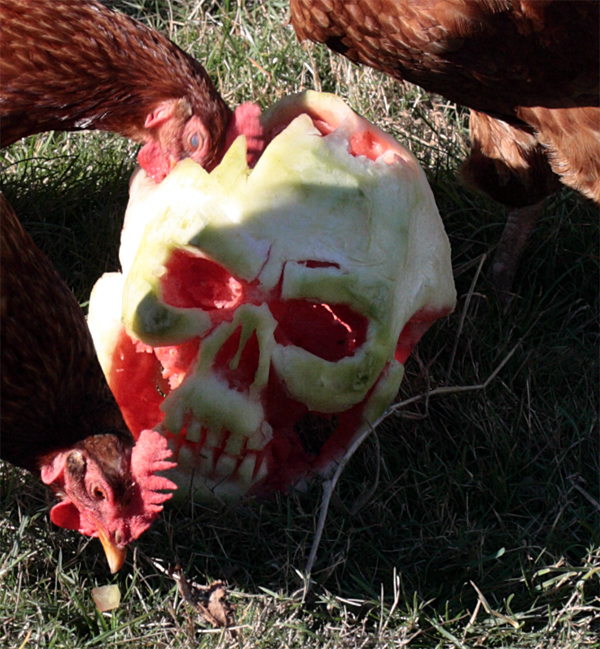 This is my Jack o’ Lantern for the year, my usual carved watermelon. For anyone who isn’t tied down by tradition, I highly recommend them over pumpkins, it went really smooth and only took about twenty minutes using a birds-beak style paring knife. This is the first time I’ve tried removing the skin and going for dimension. The skull is all one piece except for a few teeth in the back of the mouth, and the brain is still attached. I’ve hidden an ultrasonic mist maker and LED in the brain cavity so illuminated fog spills out over the brains. 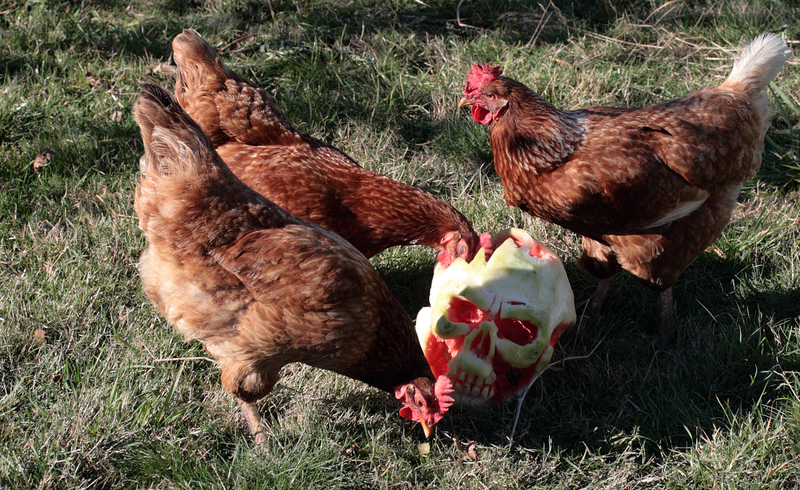 Just when you thought Halloween was safely over, the zombie chickens show up to eat any melon brains that may have been left laying around. 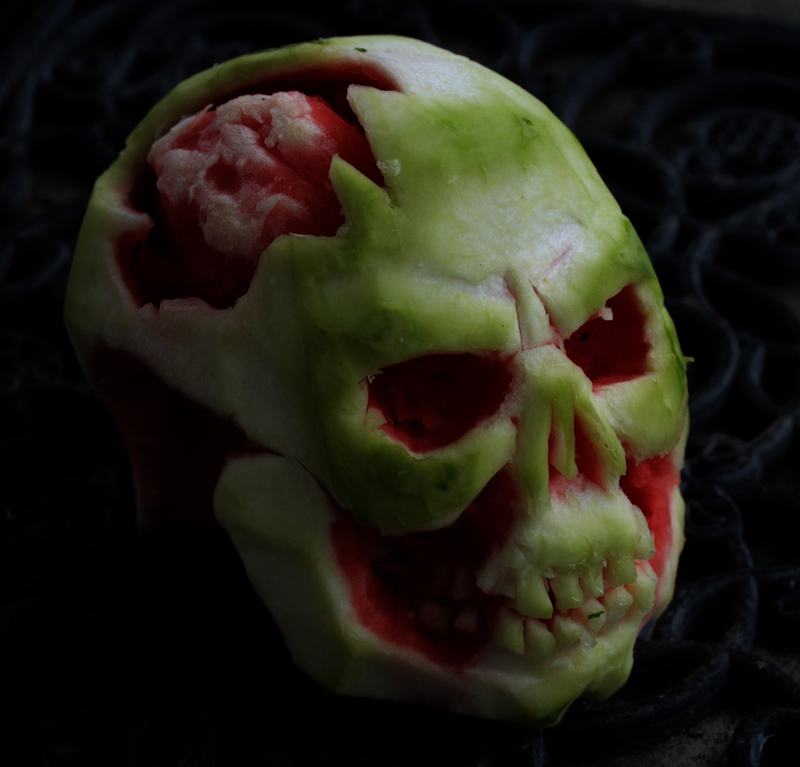 A couple of my past watermelon carvings here. Tilt shifting in photography is when you deliberately put your lens out of line with the sensor in such a way that it changes the focus on the sensor/film rather than just based on distance of objects and depth of field. The resulting photos and videos trick the eye into thinking it is seeing a tiny scale model rather than something miles away. A similar effect can be created through video/image editing. 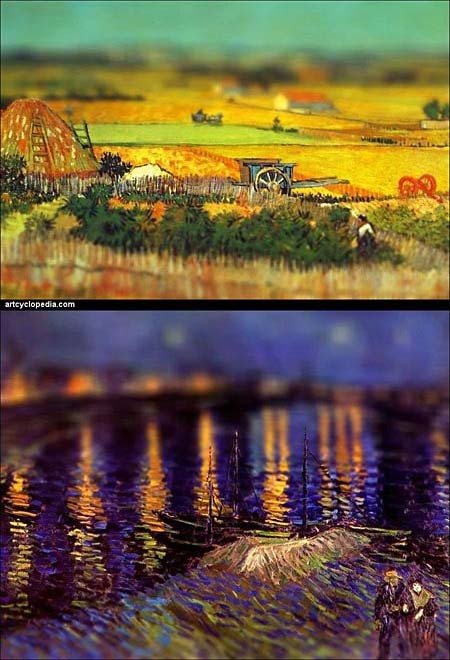 In the above pictures, artcyclopedia has added an effect similar to tilt shift via software to several of Van Gogh’s works (click the picture to see their full gallery and the originals). I love the effect. I think the kind of visual cues we take from tilt shifted photography are to some extent a product of the photographic age. We are used to seeing two dimensional representations of three dimensional space as seen through the single eye of a camera. When you look at a real scene through two eyes, whatever you are looking at is in focus, while anything out of focus is blurry and doubled (and by definition, not what you are currently looking at). One of the flaws with the current round of 3D movies is that while things have depth cues based on sending a different signal to each eye, there is no adjustable depth of field based on what you are looking at. The focus of any given object is chosen by the camera, rather than the viewer, and the whole image is the same distance away, even if each eye sees a different angle. I did a little experimenting on my own to get a better understanding of things. I think the choice of impressionism is a good one. Impressionists have a tendency to capture the soul of a thing crisply, but without much detail. This means that when you blur a background, it looks believable rather than smeared. Creating this effect in Photoshop can be pretty simple. Part of what makes tilt shift photography make things look miniature is the difference distance makes to depth of field. In tilt shift, focus is much more independent of distance. In a large scale photo, once you are focused a ways out, it tends to focus to infinity. 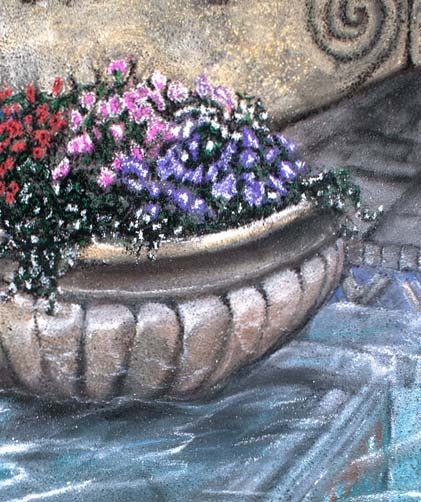 Painters tend to make their paintings fully focused at all distances, which improves clarity, but degrades the feeling of depth. With a tilt shift effect I wanted to choose a subject in the composition, bring the eye to them, and then create the illusion of depth in the rest of the image by virtue of knowing where the eye is already looking. This is counter to one of the usual goals of composition: To keep the eye moving. 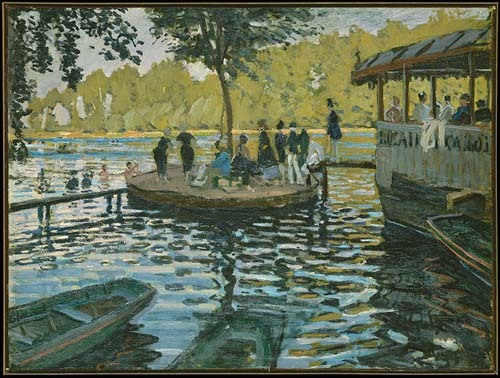 Below is a Monet I found with a quick image search that served my needs nicely for a very simplified test. The alterations I made can be seen below. I don’t think it made the image nicer, but I think it accomplished my compositional goal of directing the eye and holding it on the subject. I chose it because it covers a vast distance, contains a subject to draw the eye, and has a tree that exists within the plane of focus, but in front of an area that I planned to blur. The clarity of the tree is what makes the end result different from what you would see with a tilt shift lens. This only took a few minutes. Below are the steps I took. If you have a copy of Photoshop, give it a shot. It’s a good skill to have in your repertoire. After opening the image, duplicate your background layer and work in the duplicate. Select anything outside your intended focus area that needs to remain sharp. In this case, the tree and the canopy on the right. Click the add layer mask button in your layers pallet. Click on the gradient tool and make sure you have it set to a black to white reflected gradient. Click on the part of your image that should remain focused and drag toward the edge of the picture perpendicular to the intended strip of focus and release. Right Click on the layer mask and click on Apply Layer Mask. 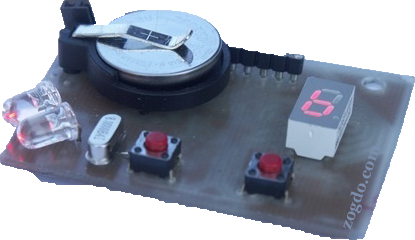 Click on Filter/Blur/Gaussian blur, and drag the slider to create the blur. I’m sure you can find a more long winded tutorial somewhere, but if you have a moderate knowledge of Photoshop, this should suffice as a bare bones process to get you started. It’s that time of the year again. The first Saturday in October is one of those few days of the year when I’m glued to the weather channel, hoping to see that little puffy cloud icon that around here means dreary, overcast weather. Photography weather. 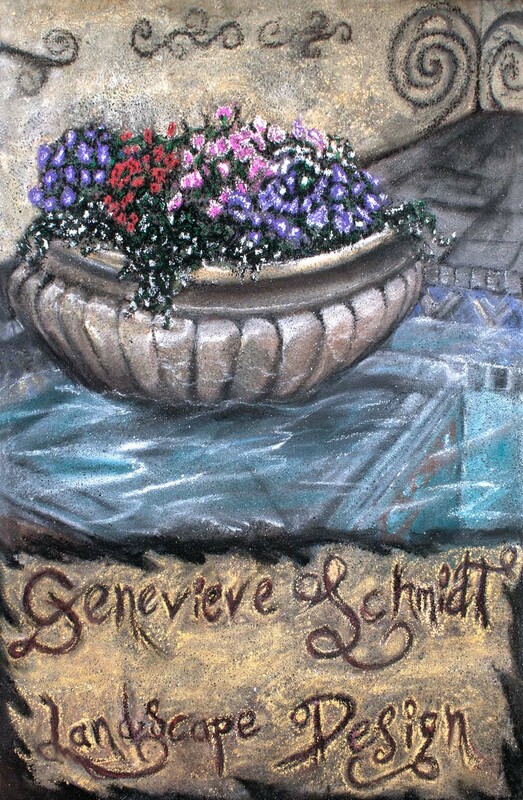 Pastels on the Plaza weather. Overcast weather seems like such a fixture around here that I don’t know why we bother having a weather forecast at all. The weather guy could just put up a poster with a dreary little cloud and a sign reading, “Partly cloudy”, and go on vacation for a few months. He would probably improve his record. Somehow, that first Saturday in October seems to be an exception. In recent years we’ve found ourselves sitting in a puddle in the rain, trying to draw on the sidewalk with a muddy piece of chalk, or plagued with steep shadows and gusts of wind that erase an hour’s work in an instant. This year, things were terrifyingly different. The weather was perfect. There was no excuse for failure. 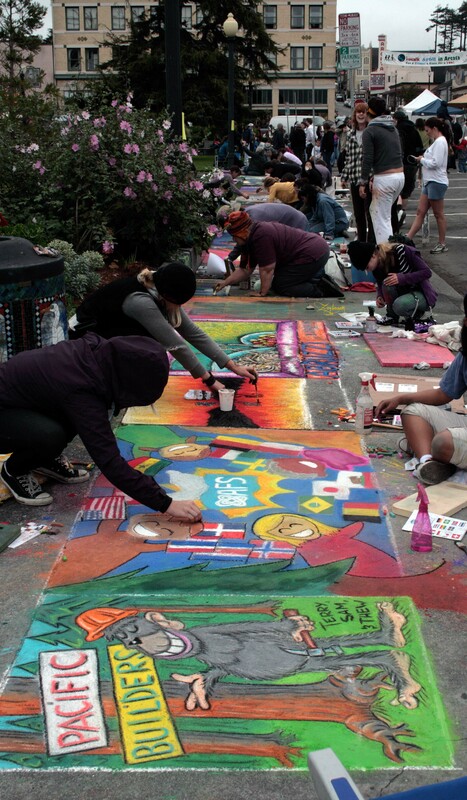 Shortly after staking my claim on an empty square, an artist settled into the square beside me. 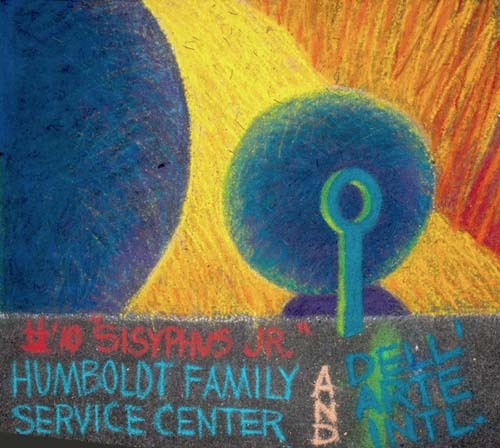 It turns out it was Alan Sanborn, a former watercolor instructor for HSU with a master’s in art and quite a portfolio. At one point I accused the man of using luminous paint. His way with light is enviable. 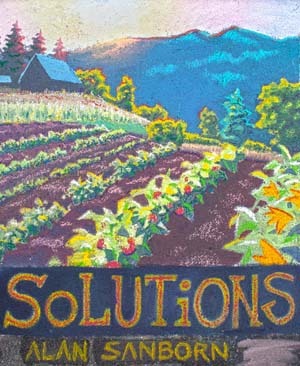 He was doing a farm scene from memory, a reproduction of one of his previous works which can be seen here on his site. Also returning was a personal favorite of mine, Jerry Lee Wallace, who I missed once again this year. I was too focused on my own work to do a walkaround until later. This one clearly came from Duane Flatmo, a man of many talents, everything from building fire breathing dragons, to playing the guitar with an eggbeater. I was especially impressed by the square for The Sushi Spot. They did a flawless job of making the nori, and from concept to execution, it was truly exceptional. 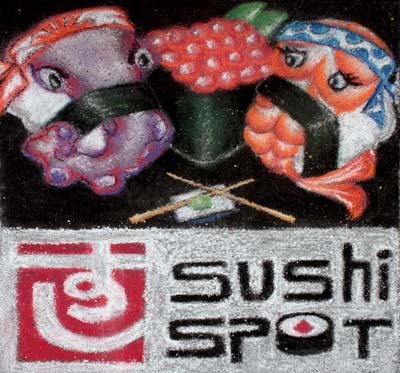 Their sushi is awesome as well, a contender for the best in town, and they do take out even when they’re busy, unlike someone else. 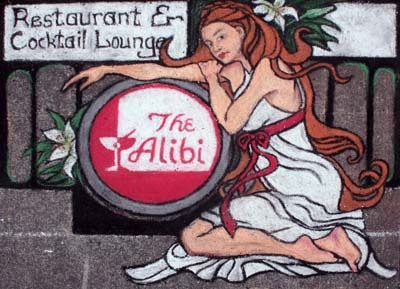 Another square that has been consistently good in recent years is The Alibi. If you like your bars dark, your gin and tonic glowing and with a burger on the side, this is the bar for you. 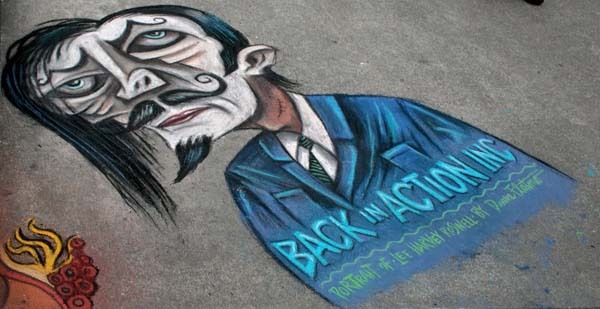 I don’t know who the artist was on this one either, but I like their work. 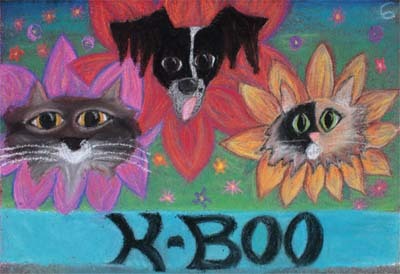 I thought the entry for Kash Boodjeh was cute. 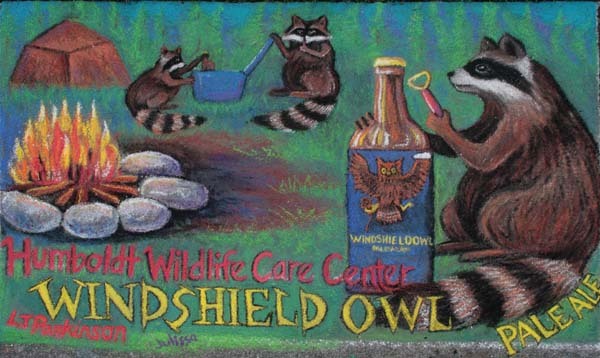 And this one from Humboldt Wildlife Care center was fun. I didn’t even know they made beer out of smashed owls. Next year, should I participate again. I want to take a break part way through and just spend some time taking pictures of works in progress.